Yeah. I don't really have too much to report other than I'm planning for this to be one long, wonderful weekend. I'm off today and Monday to spend some time with some family who came into town so I'll leave you all with a giant list of links. Happy weekend! 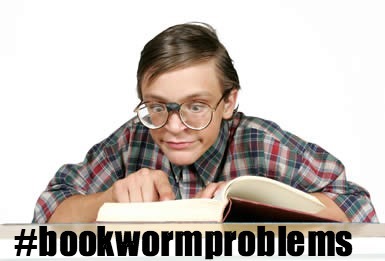 Do you have bookworm problems? Pop on over to RBR or TwItter to share yours! Let's play a game! It's called unsramble the names of these famous literary characters. Answers here. And in other hot topics, talk about sexism in the book publishing world and blacklisted authors. 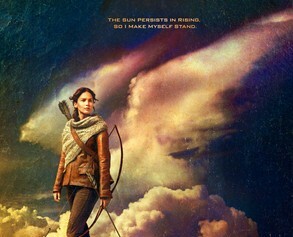 The Hunger Games: Catching Fire has a new movie poster and it's wicked awesome! It also has its own Instagram account. And here are some fun facts about your favourite movies and characters. NBC debuts its new series, Dracula, in the fall. It looks weird but I like weird so I'll probably end up watching it. In more of "Where Are They Now?" featuring the original cast of The Power Rangers. Can you believe that this show aired 20 years ago?! 20 YEARS! God, I'm old. The first promo pic from Season 4 of The Walking Dead. Whose Line Is It Anyway really is back and OMG I'M GOING TO PEE MY PANTS!! 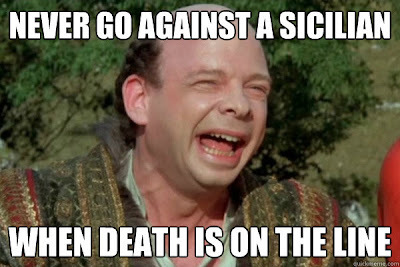 Life lessons from The Princess Bride. An old school video game birthday cake. Getting old never tasted so delicious! Here are some gorgeous Gatsby-inspired manicures. First there was Disney princesses as modern-day college students then there was Disney couples going to prom. Now there's the almost-produced Disney Princess Academy which celebrated both the dying practice of hand-drawn art and some of Disney's most notable female characters. Ahh, I hadn't seen that Whose Line preview. Man, that was my SHOW back in the day. Going to check it out now. Thanks so much for stopping by my blog. Have a nice day!! 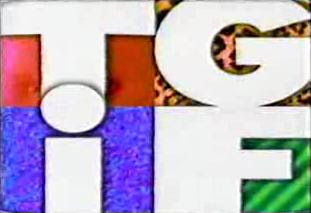 I know, I was so sad when they took it off the air. It's kinda weird seeing Colin and Ryan looking to so old but I do love that they picked Aisha Tyler as the new host. Should be interesting! So I thought the thing I would like most about this post was the first topic- because you are right, that is a kickass Katniss poster. But.. BUT. I had not seen the disney princesses and prom buzzfeed. Jasmine and Aladdin are now my favorite thing about this post. LOVE--thanks for sharing. I don't know how I feel about those Catching First posters (I want to see more of the sets! ), but thanks for posting about the Instagram account, I didn't know they had one and now I'm following! Haha, thanks! Glad I can aid in some well-founded Friday procrastination. I may not be up-to-date on my regular posting, but dammnit, I'll provide fun links when I can! Hope you had an awesome weekend.